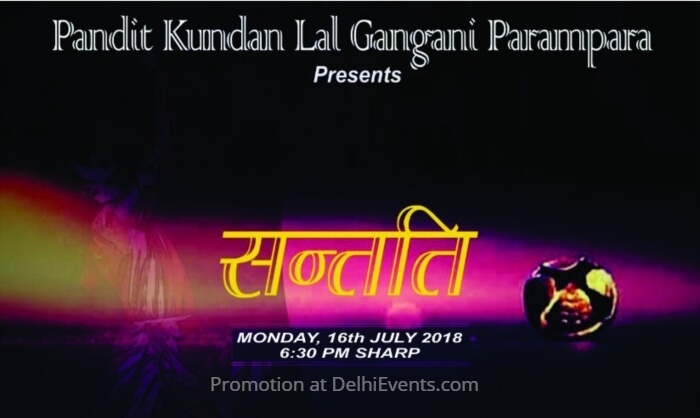 Event Description : Pandit Kundan Lal Gangani Parampara presents ‘Santati’ an evening of performances- in the presence of Guru Pt. Rajendra Gangani ji, through whose endeavour the legacy of Jaipur gharana continues to live. The next generation of performers are all set to put up a performance as an ode to ‘Bade Guruji’ on the occasion of his birth as well as the death anniversary on the 16th of July 2018.